If you have broken auto glass in or around Tupelo, call Weathers Auto Supply. For over 55 years we've been installing and replacing auto glass in Tupelo and have built a reputation for quality services at an affordable price. Weathers employ some of the best auto glass techs in the business who are experts at windshield repair and auto glass replacements. For great service from experienced installers, contact us today! The time it takes to replace a piece of auto glass can vary depending on a number of factors. The typical replacement, however, usually takes about an hour. After the glass is installed, it's important that the urethane (or glue used to bond the glass to the vehicle) is allowed to properly cure. 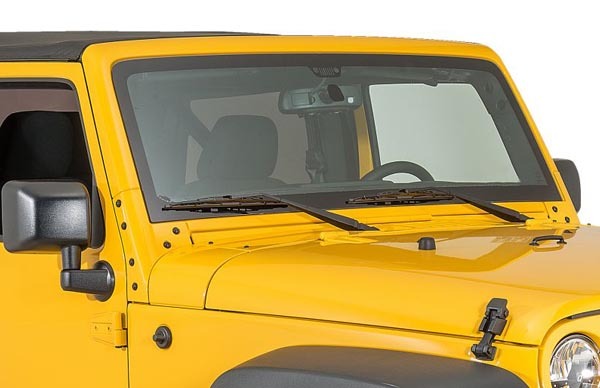 This ensures that the windshield or other auto glass is secured properly to the frame of the vehicle increasing the vehicle's stability and structural integrity. Do You Guarantee Your Auto Glass Replacements? At Weathers, all of our work is guaranteed! We take pride with all our auto glass replacements and insist on getting things done right the first time. We continually strive for excellence and make sure your satisfaction is our #1 priority. If you have any complaints or problems with our auto glass replacements, please contact us so we can make it right.